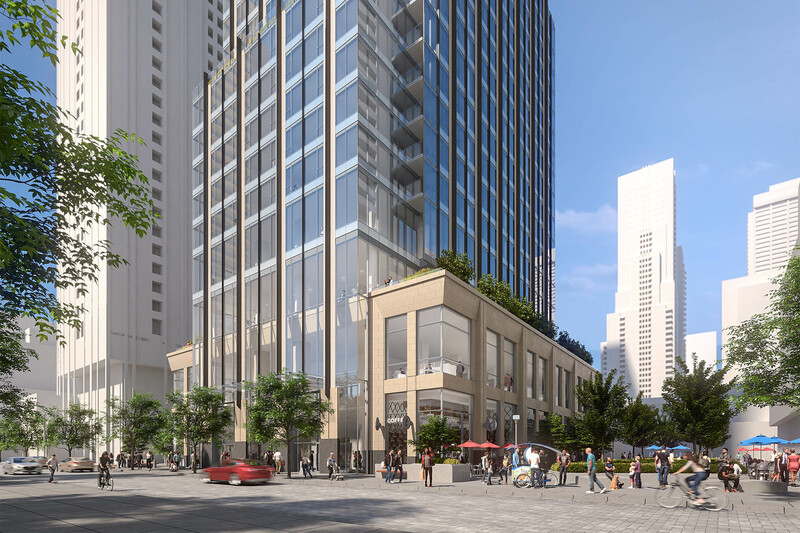 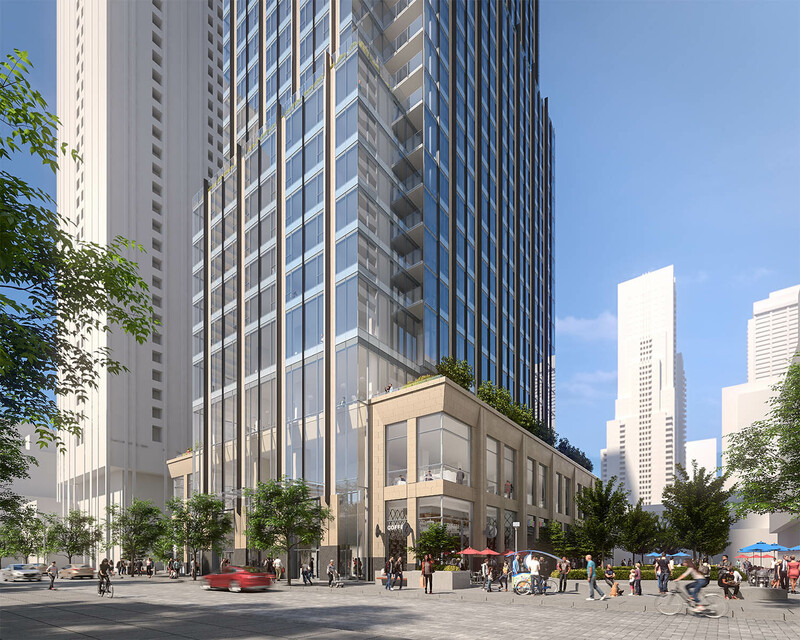 Sweeny&Co’s latest high-rise residential tower for Metropia, RioCan and Capital Developments, is set to rise in the rapidly-transforming neighbourhood of Bloor-Yorkville. 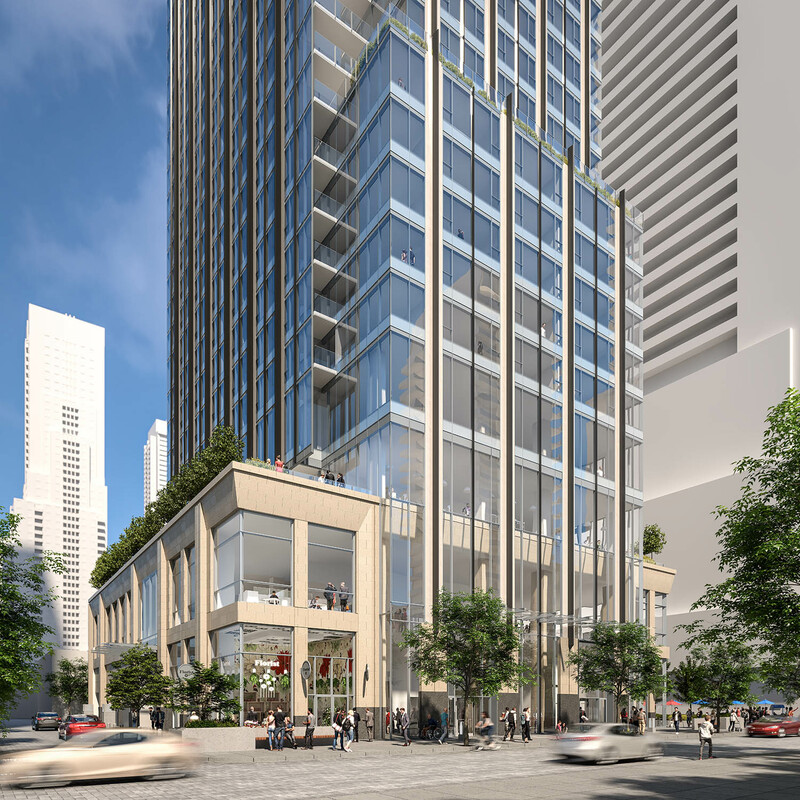 Situated between Yorkville Avenue and Cumberland Terrace, the design for the site includes an urban park creating a wide mid-block connection between Cumberland and Yorkville streets. 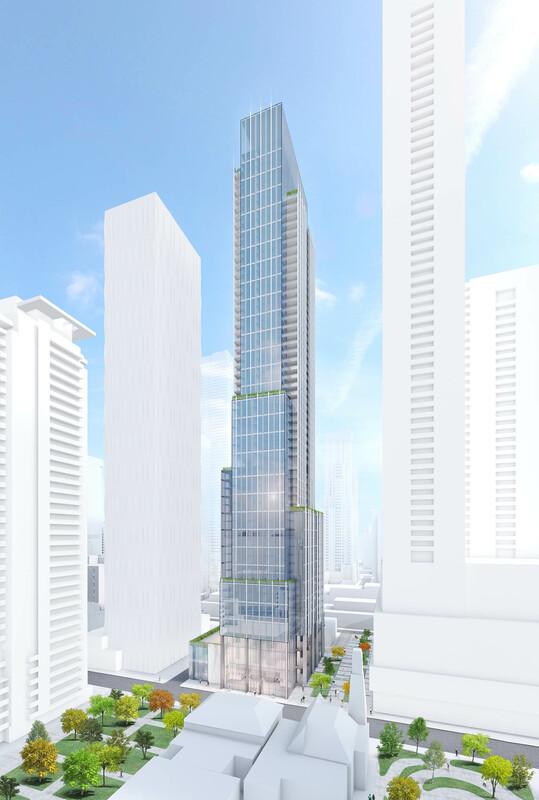 The tower design emphasizes its slender qualities with vertical ribs and steps on all sides to generate elegant proportions and sky terraces.The building at street-level is animated with multi-level retail featuring great exposure to the new urban park.